The term “cast iron” designates an entire family of metals with a wide variety of properties. It is a generic term like steel which also designates a family of metals. Steels and cast irons are both primarily iron with carbon as the main alloying element. Steels contain less than 2% and usually less than 1% carbon, while all cast irons contain more than 2% carbon. About 2% is the maximum carbon content at which iron can solidify as a single phase alloy with all of the carbon in solution in austenite. Thus, the cast irons by definition solidify as heterogeneous alloys and always have more than one constituent in their microstructure. casting alloys. Their melting temperatures are appreciably lower than for steel. Molten iron is more fiuid than molten steel and less reactive with molding materials. Formation of lower density graphite in the iron during solidification reduces the change in volume of the metal from liquid to solid and makes production of more complex castings possible. Cast irons, however, do not have sufficient ductility to be rolled or forged. The various types of cast iron cannot be designated by chemical composition because of similarities between types. Table 1 lists typical composition ranges for the most frequently determined elements in the five generic types of cast iron. There is a sixth classification for commercial purposes, the high-alloy irons. These have a very wide range in base composition and also contain major quantities of other elements. The presence of certain minor elements is also vital to the successful production of each type of iron. For example, nucleating agents, called inoculants, are used in the production of gray iron to control the graphite type and size. Trace amounts of bismuth and tellurium are used in the production of malleable iron, and the presence of a few hundredths of a percent magnesium causes the formation of the spherulitic graphite in ductile iron. In addition, the composition of an iron must be adjusted to suit particular castings. Small die castings and large aluminum die castings of the same grade of iron cannot be made from the same composition of metal. For this reason most iron castings are purchased on the basis of mechanical properties rather than composition. 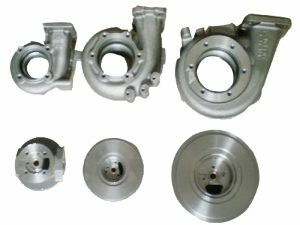 The common exception is for castings that require special properties such as corrosion resistance or elevated temperature strength. The various types of cast iron can be classified by their microstructure. This classification is based on the form and shape in which the major portion of the carbon occurs in the iron. This system provides for five basic types: white iron, malleable iron, gray iron, ductile iron and compacted graphite iron. Each of these types may be moderately alloyed or heat treated without changing its basic classification. The high-alloy irons, generally containing over 3% of added alloy, can also be individually classified as white, gray or ductile iron, but the high-alloy irons are classified commercially as a separate group. White Iron – If the composition of the iron is appropriate or the cooling rate of the metal is sufficiently rapid during solidification, the metal will solidify with the carbon combined with iron as iron carbide. This compound, also called cementite, is hard and brittle and dominates the microstructure of white iron. Thus, white iron is hard and brittle, and has a white crystalline fracture because it is essentially free of graphite. White iron has a very high compressive strength and excellent wear resistance, and it retains its hardness for limited periods even up to a red heat. It can be produced in selected areas of a casting such as on the periphery of a cam by causing localized rapid solidification of the iron. White iron at the surface of a casting is called chill. It is produced by making that portion of the mold-where the white iron is desired-of a material that can extract heat very rapidly, such as iron or graphite. These sections of the mold are called chills. White iron does not have the easy castability of other irons because its solidification temperature is generally higher, and it solidifies with carbon in its combined form as iron carbide. Malleable Iron – This type of iron is characterized by having the majority of its carbon content occur in the microstructure as irregularly shaped nodules of graphite. This form of graphite is called temper carbon because it is formed in the solid state during heat treatment. The iron is cast as a white iron of a suitable chemical composition. After the castings are removed from the mold, they are given an extended heat treatment starting at a temperature above 1650F (900C). This causes the iron carbide to dissociate and the free carbon precipitates in the solid iron as graphite. The rapid solidification rate that is necessary to form the white iron limits the metal thickness in the casting that is practical for the malleable iron process. A wide range of mechanical properties can be obtained in malleable iron by controlling the matrix structure around the graphite. Pearlitic and martensitic matrices are obtained both by rapid cooling through the critical temperature and with alloy additions. Malleable irons containing some combined carbon in the matrix are often referred to as pearlitic malleable although the microstructure may be martensitic or a spheroidized pearlite. Gray Iron – When the composition of the molten iron and its cooling rate are appropriate, the carbon in the iron separates during solidification and forms separate graphite flakes that are interconnected within each eutectic cell. The graphite grows edgewise into the liquid and forms the characteristic flake shape. When gray iron is broken, most of the fracture occurs along the graphite, thereby accounting for the characteristic gray color of the fractured surface. Because the large majority of the iron castings produced are of gray iron, the generic term, cast iron, is often improperly used to mean gray iron specifically. The properties of gray iron are influenced by the size, amount and distribution of the graphite flakes, and by the relative hardness of the matrix metal around the graphite. These factors are controlled mainly by the carbon and silicon contents of the metal and the cooling rate of the casting. Slower cooling and higher carbon and silicon contents tend to produce more and larger graphite flakes, a softer matrix structure, and lower strength. 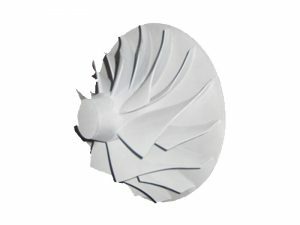 The flake graphite provides gray iron with unique properties such as excellent machinability at hardness levels that produce superior wear resisting characteristics, the ability to resist galling, and excellent vibration damping. The amount of graphite present, as well as its size and distribution, are important to the properties of the iron. Whenever possible, it is preferable to specify the desired properties rather than the factors which influence them. Ductile Iron – Ductile iron was developed in the 1940s. It is sometimes referred to as nodular iron and is called SG or spheroidal graphite iron in Europe. After a decade of intensive development work in the 1950s, ductile iron had a phenomenal nine-fold increase in use as an engineering material during the 1960s, and the rapid increase in commercial application is continuing. An unusual combination of properties is obtained in ductile iron because the graphite occurs as spheroids or spherulites rather than as individual flakes as in gray iron. This mode of solidification is obtained by adding a very small, but specific amount of magnesium to molten iron of a proper composition. The base iron is severely restricted in the allowable contents of certain minor elements which can interfere with the graphite spherulite formation. The added magnesium reacts with the sulfur and oxygen in the molten iron and changes the way the graphite is formed. Control procedures have been developed to make the processing of ductile iron very dependable. The high carbon and silicon content of ductile iron provide the casting process advantages, but the graphite spheroids have only a nominal influence on the mechanical properties of the metal. Ductile iron, like malleable iron, exhibits a linear stress-strain relation, a considerable range of yield strengths, and, as its name implies, ductility. Castings are made in a wide range of sizes with sections that can be either very thin or very thick. The different grades are produced by controlling the matrix structure around the graphite either as-cast or by subsequent heat treatment. Only minor compositional differences exist among the regular grades, and these adjustments are made to promote the desired matrix microstructures. Alloy additions may be made to ductile iron to assist in controlling the matrix structure as-cast or to provide response to heat treatment. Special analysis ductile irons and high alloy ductile irons provide unusual properties for special applications. Compacted Graphite Iron – Compacted graphite iron has become commercially available when dependable methods for its production were developed. Its graphite occurs as blunt flakes which are interconnected within each cell. This graphite structure and the resulting properties of the iron are intermediate between gray and ductile irons. The compacted graphite shape has been known for some time and has also been called quasi-flake, aggregated flake, seminodular, and vermicular graphite. Its production is similar to that for ductile iron in requiring close metallurgical control and rare earth element additions, but it also requires another alloying element such as titanium to minimize the formation of spherulitic graphite. Compacted graphite iron retains much of the castability of gray iron, but has a higher tensile strength and some ductility. Its matrix structure can be adjusted by aluminum die casting alloying or heat treatment. High-Alloy Irons – This classification includes high-alloy white irons, high-alloy gray irons, and high-alloy ductile irons. Malleable irons are not heavily alloyed because this interferes with the metallurgy of the malleable process. High alloy irons are used in applications with demanding requirements such as extreme abrasive wear, heat or corrosion-resistance. These irons are also employed when unusual physical properties, such as low thermal expansion or nonmagnetic properties, are desired. High-alloy iron castings are produced by foundries that specialize in their production because over 30% of alloy content requires the use of special melting facilities, casting techniques and quality control. 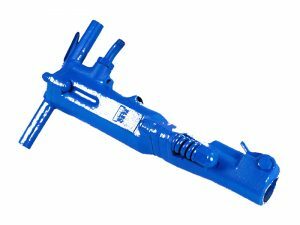 The special property requirements of high-alloy irons are often too difficult to establish and verify for specification, so these irons are usually specified by their chemical composition. Mechanical property requirements may also be specified where these are important. The high alloy irons are classified by the type of unusual service conditions for which they are used. Hope this information can solve your question, if you want to know more about die casting, please go to https://en.wikipedia.org/wiki/Die_casting to check it out.